The human brain is an incredibly complex organ, bearing a mass amount of folds and wrinkles just so its large surface area can be packed into the head. A system that is so essential to a person’s basic functions needs appropriate protection, something that is accomplished by the cranium and meninges, a system of three membranes beneath the skull. However, the natural protection given to our brain is only suitable for minor hazards, and is insufficient for scenarios in which an individual is exposed to greater dangers. In industry, workers wear hardhats to protect their heads. According to the OSHA standard 29 CFR 1910.135, “employees working in areas where there is a possible danger of head injury from impact, or from falling or flying objects, or from electrical shock and burns, shall be protected by protective helmets.” However, the standard does not specifically cover any criteria for the protective helmets, instead requiring that they comply with ANSI/ISEA Z89.1-2014 – American National Standard for Industrial Head Protection. As a general rule of thumb, industrial hardhats should not only absorb the impact of blows to the head, but should also serve as insulators against electric shocks, be water resistant and slow burning, and shield the scalp, face, neck, and shoulders. ANSI/ISEA Z89.1-2014 prepares hardhats for any of these anticipated forces through rigorous testing of the helmets. In addition to testing procedures for flammability, force transmission, apex penetration, wetness, and temperature, among others, ANSI/ISEA Z89.1-2014 classifies the different kinds of protective helmets according to their uses. Manufacturers should mark compliant helmets with the ANSI/ISEA Z89.1-2014 designation, along with the applicable class and head size range, a value that is also listed in the standard. Despite the security given to workers from the standard, there are still incidents of traumatic brain injury, especially in construction, in which it caused 2,200 fatalities between 2003 and 2010. 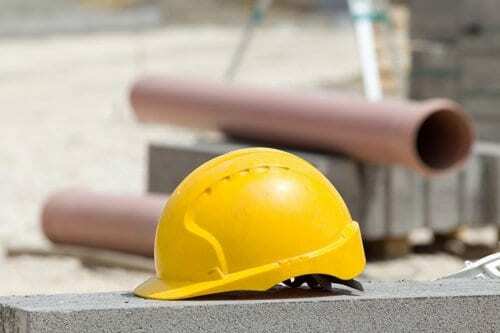 However, according to a survey about worksite accidents and injuries conducted by the Bureau of Labor Statistics (BLS), 84 percent of all workers who suffered head injuries were not wearing head protection. Because of this irresponsibility in preparing for unanticipated head injuries, ANSI/ISEA Z89.1-2014 makes user recommendations to ensure the added safety that comes from wearing a hardhat. Some of these allow the wearer to make use of the helmet’s protection under unique conditions. For example, the standard addresses reverse wearing of the helmets, for which the applicable helmets must be properly tested and marked. 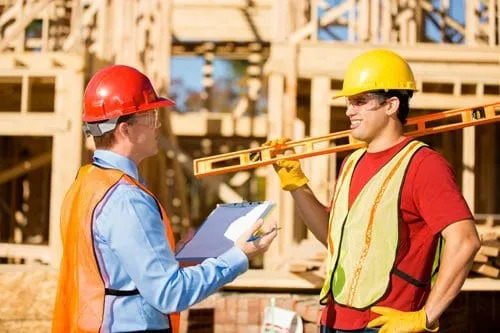 As we discussed in our past post, Preparing Outside Workers for the Summer Heat, workers should not alter their safety garments and equipment to enhance their own comfort, as it can compromise the integrity of the precautionary wearables. The standard advises along these lines, stating that the users should never alter or modify the helmet for any purpose, as it will limit its reliability. Related to the heat, it is also important for users to remember that long-term exposure of heat can degrade a helmet. ANSI/ISEA Z89.1-2014 – American National Standard for Industrial Head Protection is available on the ANSI Webstore. Trying to find out what type of winter garments are recommended or can legally worn under a hard hat?